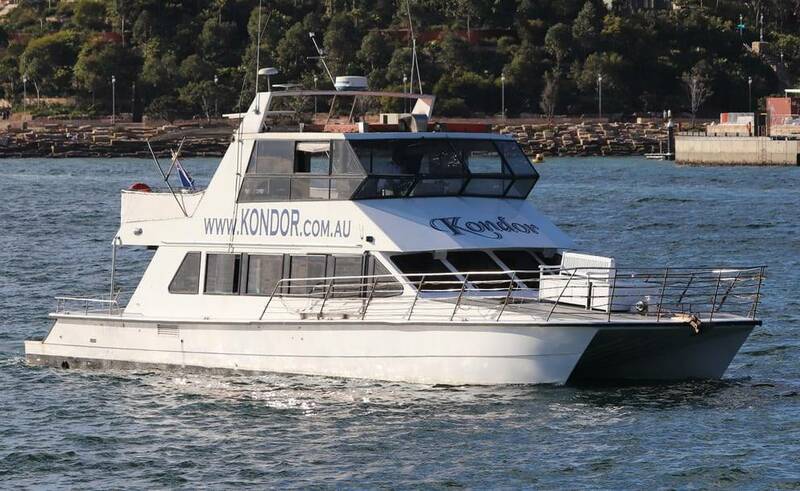 You and your friends will have a fabulous time on board Kondor, a 53ft twin deck power catamaran accommodating up to 47 lucky guests. 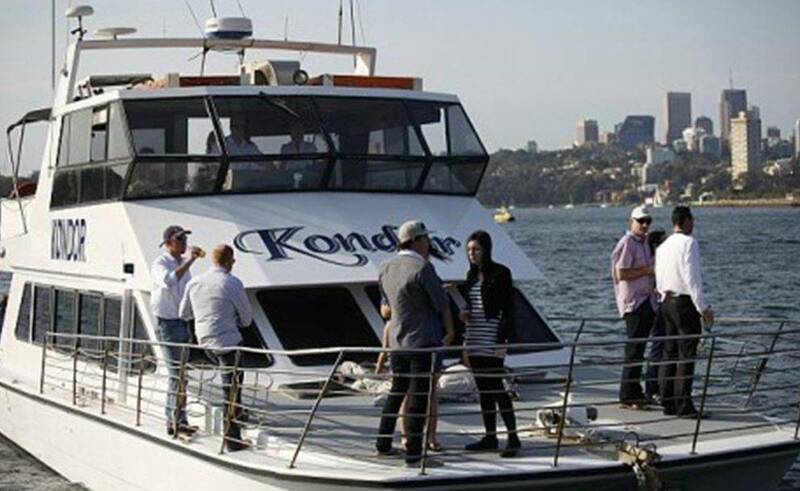 Built over two levels, Kondor is a versatile boat providing a number of entertaining options for parties. There is room for a dance floor, and the music is guaranteed to sound great thanks to the top of the range sound system, which has iPod connectivity so you can select your own playlist. The bridge deck has a spacious outdoor dining area where your guests can feast on fabulous food while taking in one of the world’s most famous views & the iconic Sydney skyline. 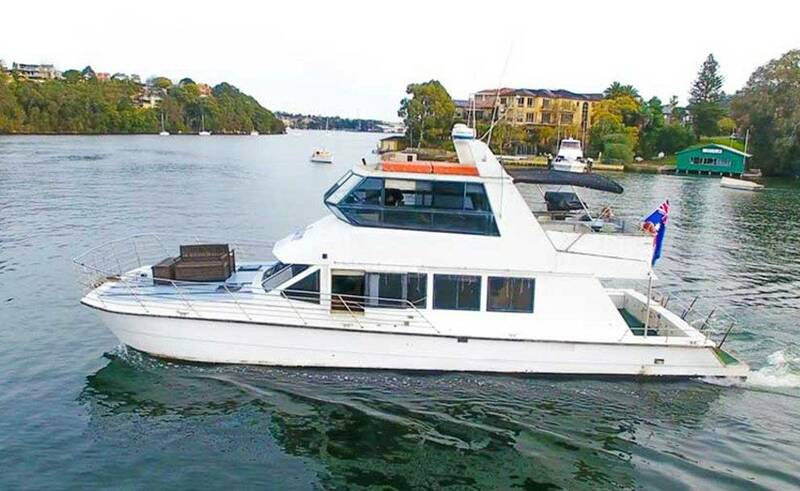 This deck also boasts an enclosed fully air-conditioned wheelhouse with a comfortable lounge where guests can sit back and relax. The huge windows make space feel light and airy and ensure those fantastic views are still centre stage. The extensive lower deck is made up of a smart and stylish bar area. A second inviting lounge area and the compact and well-equipped galley. 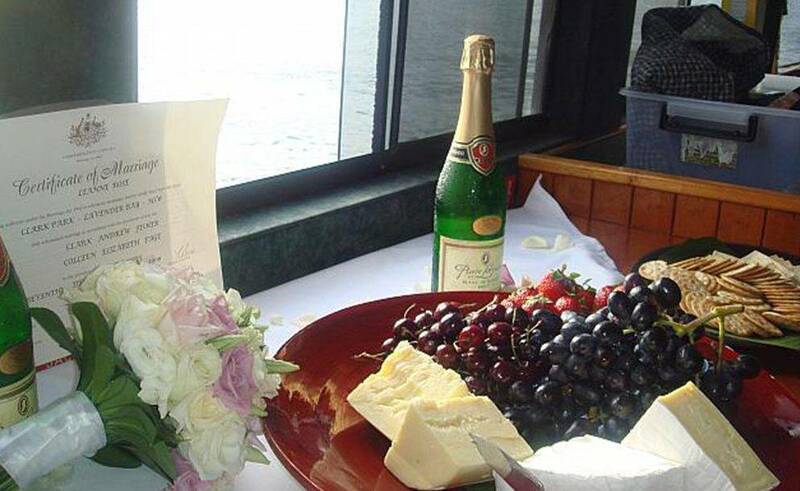 So, there are large decks to the stern and bow providing plenty of space for guests to get together. 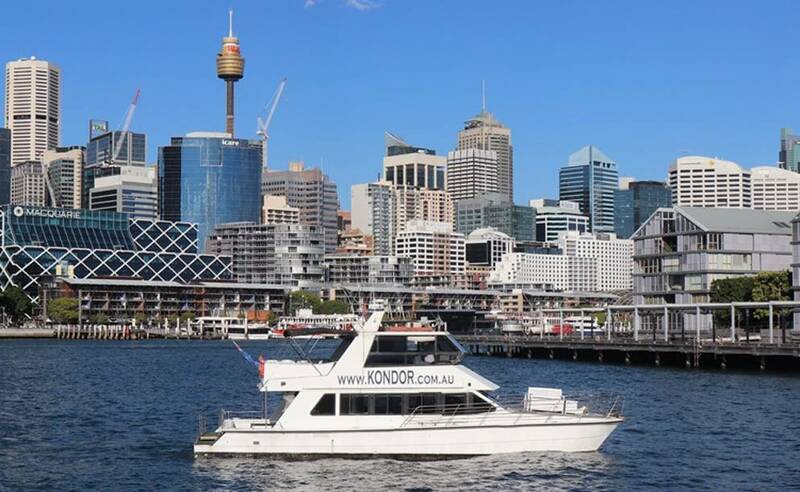 So you can soak up the rays while enjoying the spectacular harbour views. An awning at the stern gives protection from the elements. So, the weather will not put a dampener on your party! The bar is fully licensed and there are a number of mouth-watering premium catering options available if you wish to delegate the party prep. So, prefer to do your own catering and show off your culinary skills? No problem, there are two BBQs as well as the galley, so feeding a large group will be a breeze. There is plenty of fridge space for your own food and drink. Kick back and enjoy the flight of the Kondor!